Although the exact cause of Bell's palsy has never been determined, Mayo Clinic states that it is usually linked to viral infection exposure. Some of the viral infections that have been linked to Bell's palsy include genital herpes, cold sores, shingles, chickenpox, mononucleosis, German measles, mumps, head-foot-and-mouth disease and the flu. It has also been linked to respiratory illnesses and Cytomegalovirus infections. Bell's palsy is a condition that is characterized by weakness or paralysis of the facial muscles on one side of the face. WebMD notes that the condition damages the facial nerves that control muscular activity and can cause drooping in one side of the face. Bell's palsy has a sudden onset, occurring typically during nighttime hours, and it can also affect the production of saliva and tears and sense of taste. There is no link between the condition and stroke or transient ischemic attack. The prognosis for Bell's palsy is quite good; WebMD notes that most people make a complete recovery within a couple of months or sooner and do not need any sort of treatment. In some instances, however, permanent weakness of the muscles in the affected area may occur. When treatment is recommended, prednisone or other corticosteroid medications are sometimes used to help the afflicted person regain movement in the face. Antiviral medications are sometimes used in conjunction with the corticosteroids although evidence for the efficacy of these medications is weak. 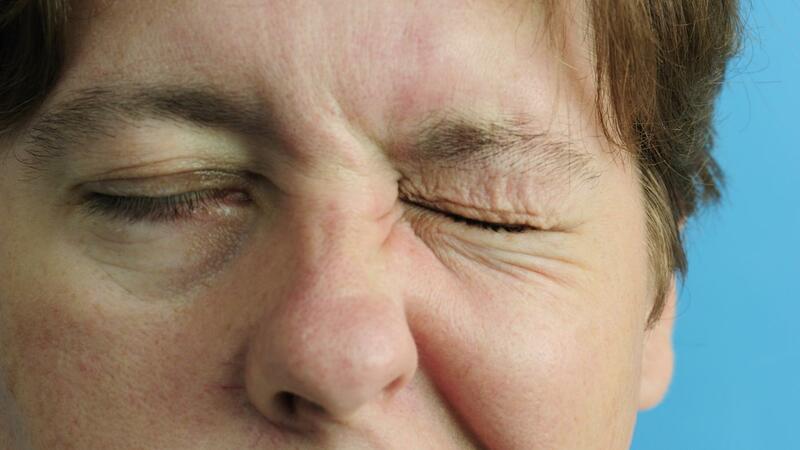 What Are the Differences Between the Symptoms of Bell's Palsy and a Stroke? What Are Some of the Early Signs of Bell's Palsy? Does Stress Cause Bell's Palsy? What Do Experts Believe Causes Cleft Lip/palate?